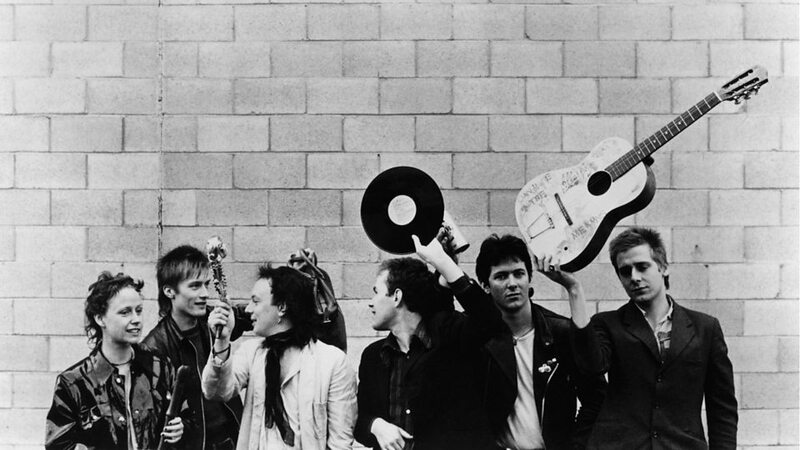 Song of the Day: The Mekons "Revenge"
The Mekons took a highly unusual turn for a Marxist, art-school post-punk band: beginning with their third LP, 1985’s Fear and Whiskey, they fully embraced country-western music. Peeling back the atonal guitars with which they made their name, adding a western shuffle and fiddles, the band seemed completely reborn. While the gloomy paranoia that proved central to their sound remained, the groups self-reinvention as ramshackle cowpokes worked far better than it ever should have. Unwilling to just rest on the laurels of their new country/ post-punk sound, the group promptly began to incorporate reggae influences into their sound as well. They also began to tighten up their playing, sounding progressively less haphazard and far more polished. By the time their 1987 LP, So Good It Hurts, was released the band were almost sonically unrecognizable from their earliest incarnation, with only the world-weary, dread-filled worldview intact. “Revenge”, a single released concurrently with So Good It Hurts is one of my favorite songs by the group. It features both a strong reggae beat and guitars, soaring country fiddles and some of the mostly darkly funny lyrics that the band ever penned. Their is a certain musical lightness here that is entirely absent from much of the group’s earlier work, which was much darker and foreboding, musically at least. While The Mekons always had a great sense of humor about them, it wasn’t always apparent in their music until now, with the doom-laced atmosphere of records like Fear and Whiskey frequently feeling more than a little frightening. That said, the humor here is highly specific and may not work for everyone: this is, after all, a song that conflates romantic longing with a burning need for vengeance. “Revenge” works because it is, at first blush, all cheeriness and light while a closer listen will reveal the darker themes at work. Like a box of chocolates filled with BB’s, The Mekons are at once life-affirming and darkly sardonic. With couplets like “There’s nothing I like better/ than a vicious cold vendetta”, the refrain “Revenge is about as sweet as the way I feel about you” and the final lines about coming back “some old, cold rainy day” always make me laugh. Whether you can relate to the sentiment or not, good luck getting this perfect slice of pop darkness out of your head.